Second graders commonly learn about the different types of rocks and how they are formed. However, the process can be difficult for kids to understand. 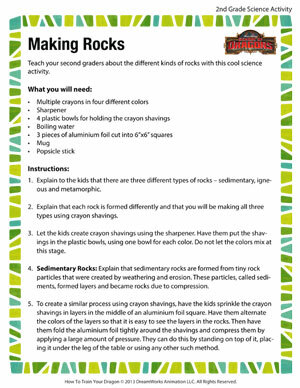 This great science activity lets children see for themselves how different forces acting on sediments form different types of rocks. Using crayons allows kids to see how the sediments blend differently with each other in each rock type.